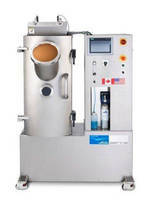 Mississauga, Canada- The U.S. Army Criminal Investigation Laboratory (USACIL) has purchased the first beta ADROIT™ FC 300 latent fingerprint development system, based on technology developed by The revolutionary, automated latent fingerprint development system is a dry, non-contact technology that uses a gaseous application process for developing latent fingerprints. The new technology eliminates hazardous carrier solvents used in traditional processing methods and the physical application of these materials by dipping, spraying, brushing and drying. Linde Canada Ltd. is an affiliate of Linde North America, a member of The Linde Group, a world-leading gases and engineering company. Calvin Knaggs, Linde Canada technology marketing manager who developed the technology, said, “In 2012 a prototype of the Linde system underwent testing by the USACIL. They are impressed with the results and have purchased the first commercial unit for further discovery and validation.” A foundational study has been published in the Journal of Forensic Identification, entitled Latent Print Development Using Low Pressure Sublimation Vapor Deposition: Evaluation of a Prototype System (62 (6), 2012 643). The article was authored by several forensic Scientists from the Defense Forensic Science Center of Excellence, United States Army Criminal Investigation Laboratory in Atlanta, Georgia. “The interest and feedback provided by the USACIL was invaluable in bringing the capabilities of the technology to where it is today,” said Knaggs. The USACIL is a world - class facility at the forefront of battlefield forensics with a leading science and technology program collaborating with other laboratories and researchers, law enforcement, academia and industry to develop state of the art protocols in scientific investigation. The Linde Group is a world-leading gases and engineering company with around 62,000 employees in more than 100 countries worldwide. In the 2011 financial year, Linde generated revenue of EUR 13.787 bn (USD 18.1 bn). The strategy of the Group is geared towards long-term profitable growth and focuses on the expansion of its international business with forward-looking products and services. Linde acts responsibly towards its shareholders, business partners, employees, society and the environment - in every one of its business areas, regions and locations across the globe. The Group is committed to technologies and products that unite the goals of customer value and sustainable development.